Can you trust employees to give peer bonuses responsibly? 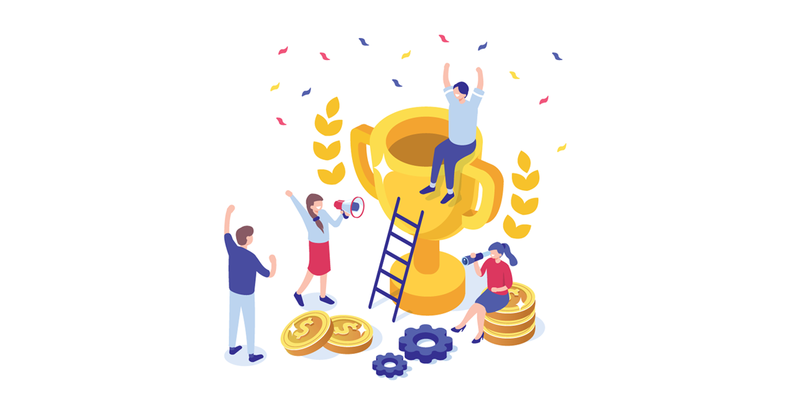 The idea of employees having control over recognition and bonuses is sometimes regarded with skepticism. 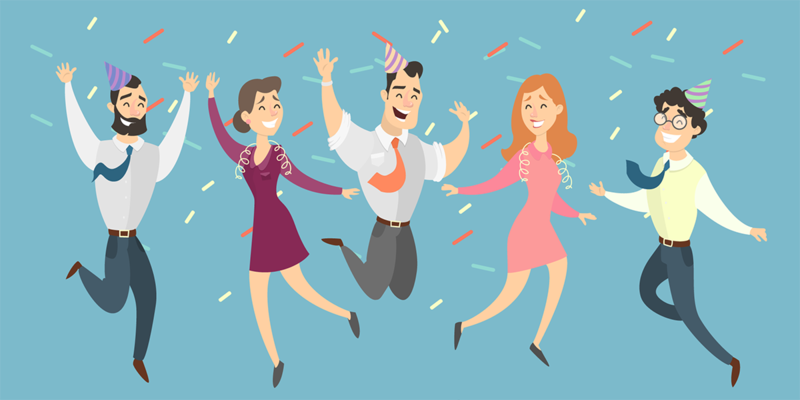 In fact, some cite Bonusly's high engagement numbers — on average, 78% of users were recognized at least once a month in 2018 — as a sign that there might be something nefarious going on, i.e., quid pro quo bonuses. After analyzing the behavior of our entire user base, it turns out that this fear is not supported by the data. 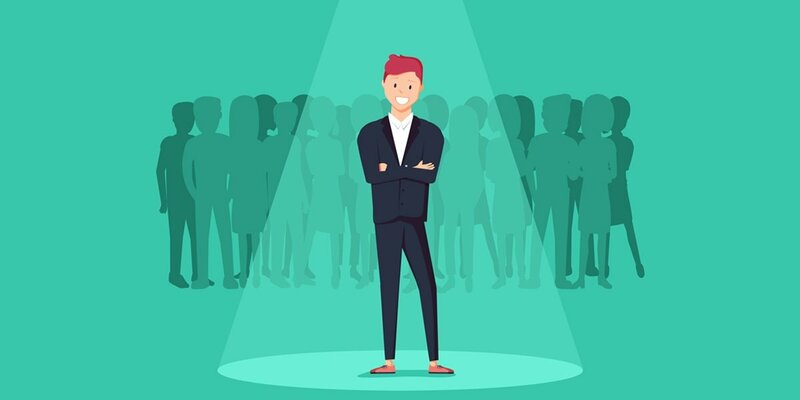 In fact, you can definitely trust employees with peer-to-peer bonuses, as they tend to avoid giving bonuses to those who recently gave them one. 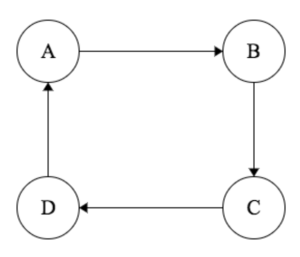 When two users give each other bonuses within a short period of time, this may look like reciprocity (“the practice of exchanging things with others for mutual benefit”). We generally want to discourage that, because bonuses ought to be given to celebrate great work that drives value for the company. In the above example, 100% of employees both gave and received a bonus. Yet there was no reciprocation. It’s also important to note that the appearance of reciprocity can happen for perfectly legitimate reasons. A gives to B and B gives to A. This behavior can be very good. Let’s say my colleague Jane wrote a popular whitepaper that resulted in a huge jump in inbound leads. I give her a bonus for that. A few days later, I provide her with some key data and help her work it into a blog post. She gives me a bonus. In this case, A has given to B and B has given to A, but the recognition given was specific, honest, timely and appropriate. As a manager or CEO, you want this kind of thing to happen. The behavior being recognized is generating significant value for the company. And it’s motivating to employees to know that their work is recognized. So our goal isn’t zero reciprocity — we just don’t want excessive reciprocity, which could be an indication of abuse or cheating. The question is, how do we measure reciprocity? And what rate of reciprocity is good? We dove into our data to answer these questions. 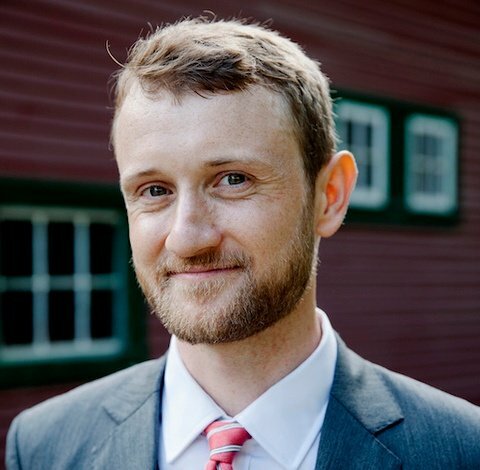 If you work at a company larger than ~10 people, do you interact with everyone? Almost certainly not. Within a company, you have a “neighborhood” of colleagues - the people on your team, in your department, etc. 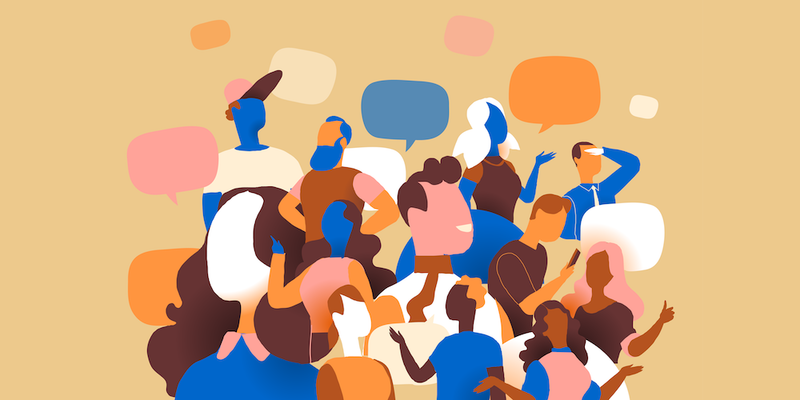 We looked at our data, and found that on average, employees interact with 6 or 7 people in a 3-month period (6.6 to be exact). 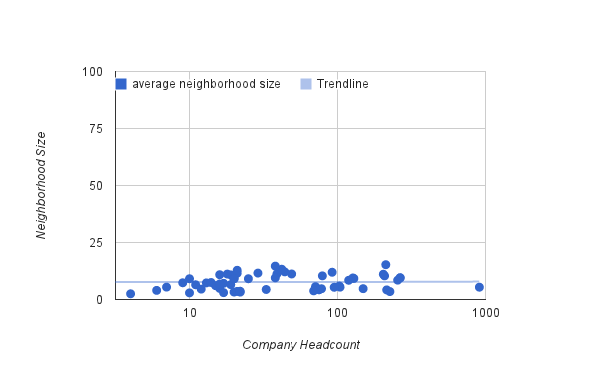 This varies a bit from company to company, but interestingly, there is no correlation with company size. An employee’s neighborhood is not likely to be any bigger if they’re at a 500-person company than if they’re at a 50-person company. On average, employees exchange bonuses with a neighborhood of ~7 employees, regardless of company size. Knowing what neighborhoods look like, we can estimate what a normal reciprocation rate should be. On average, Bonusly users give 1.3 bonuses per week (about 5 per month). This means that anytime I give a bonus to someone in my neighborhood, there’s a good chance the recipient gave one bonus within the last week. And there’s a 1-in-7 chance that they gave that bonus to me. 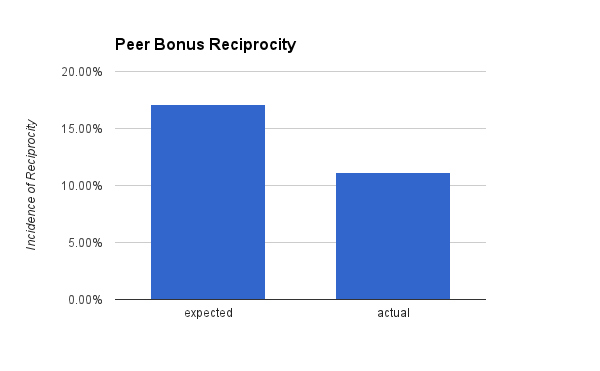 Our expected reciprocity rate is the expected frequency that reciprocal bonuses would occur if employees gave bonuses randomly to colleagues in their neighborhood. 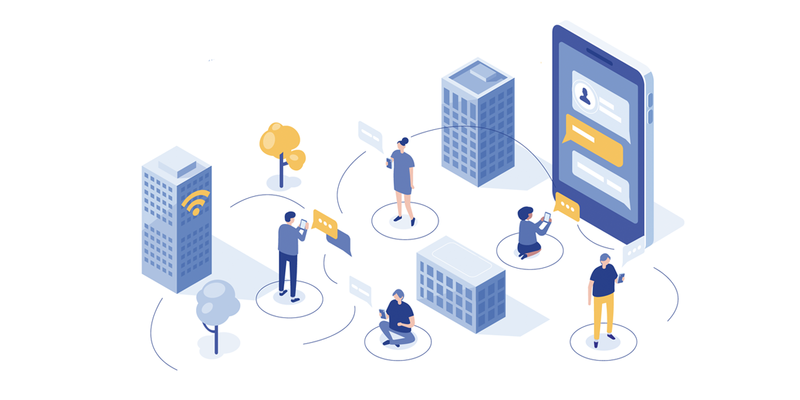 Given the neighborhood sizes and give rates for companies using Bonusly, we would expect about 17.1% of bonuses to appear reciprocal. After analyzing the behavior of our entire user base, it turns out that employees are actually a bit averse to reciprocation: they tend to avoid giving bonuses to those who recently gave them one. Incidence of reciprocity in Bonusly is lower than one would expect. On average, the incidence of reciprocation is about six percentage points lower than what we would expect from random chance. 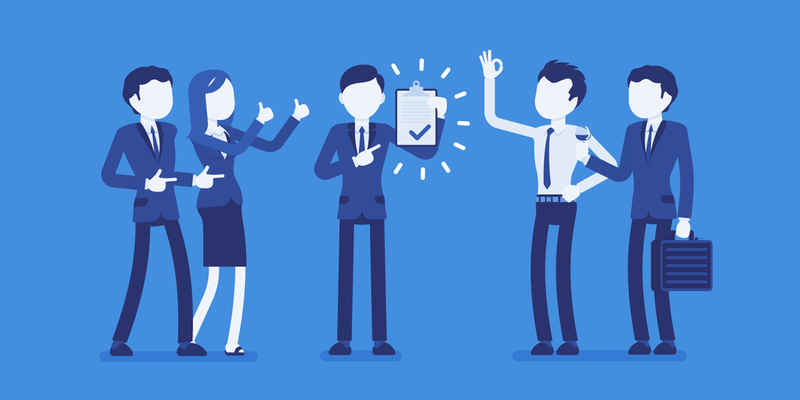 The vast majority of Bonusly customers have lower-than-expected incidences of reciprocity. 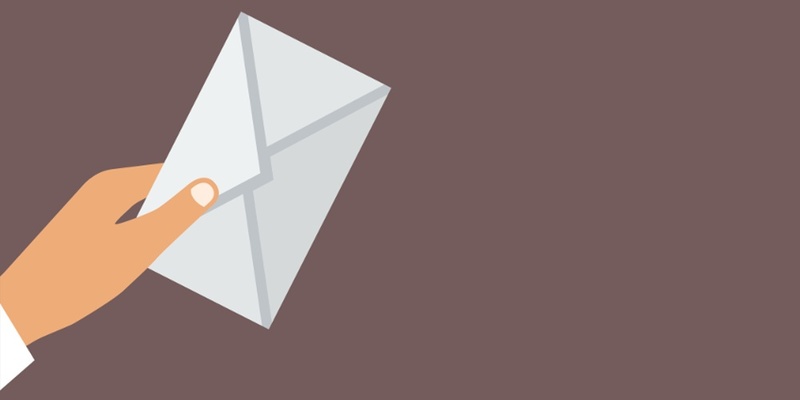 The vast majority of companies using Bonusly have lower-than-expected reciprocity, some of them significantly so. 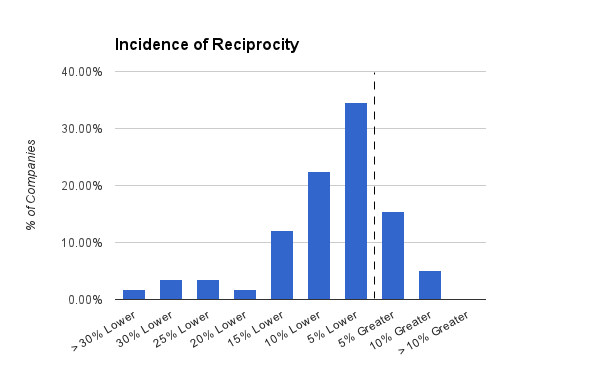 For those with higher-than-expected reciprocity, the discrepancy is slight, less than 10%. 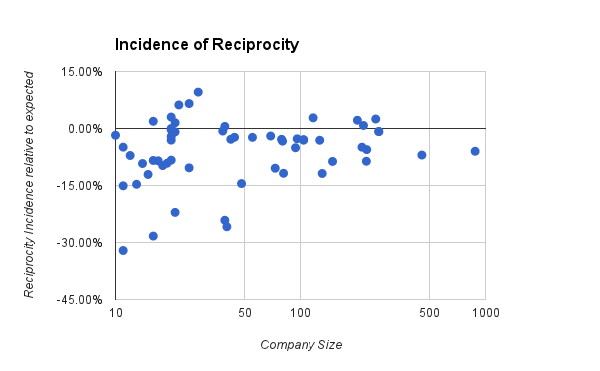 Lower-than-expected reciprocity holds true across company sizes, as well. While this result is great evidence that employees are using Bonusly responsibly, I think the result has more profound implications for how we should treat our employees. The assumption that employees are intentionally cheating (at worst) or unconsciously giving quid pro quo bonuses (at best) is indicative of a very common fear: that employees can’t be trusted to use their own judgment. Our data on peer bonuses raises the possibility that many of these assumptions may be wrong. At the very least, they ought to be explored with an open mind, instead of dismissed out of hand.